15" x 17" sturdy orange nylon bag has braided cinch top closure that doubles as shoulder straps. Taped seams and reinforced grommets. Black trim. 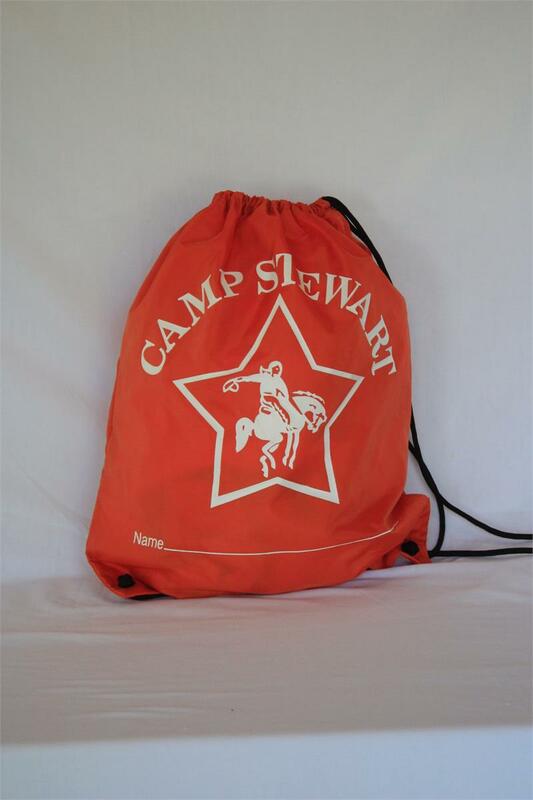 White CAMP STEWART FOR BOYS silkscreened above Star logo. Name tag line below logo. Waterproof.